If you’re like me, you’ve sat staring at your computer screen for long periods of time just waiting for an idea to flood your mind and send you on a 1000 word blogging post rampage! Only to realize, an hour or so later, that absolutely no ideas for what to blog about are flowing. I think I may have the secret to pulling anyone out of the rut of brain freeze, and getting you onto a productive blog post fast! It’s a hidden gem in Google’s new search options called Google Wonder Wheel. Have your heard of it? I haven’t until recently. But let me tell you, it’s an amazing tool for conducting deep exploration into keywords, topics, and subject matters. This hidden gem within the Google search “options” allows you to do some deep exploration of keywords, concepts, and topics. The Google Wonder Wheel is a powerful option for those who are stuck and can’t find something to blog about, or who need to explore the long tail of keyword phrases. 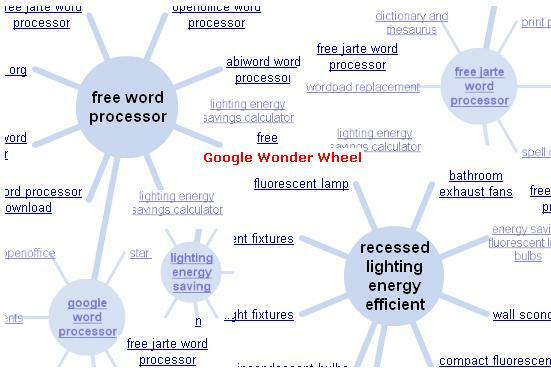 Google Wonder Wheel is also a powerful tool for deep conceptual research of topics.